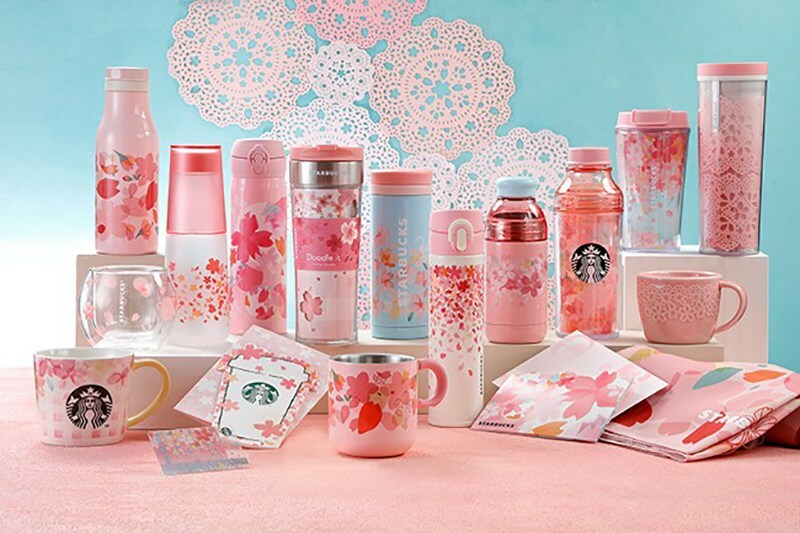 Starbucks in Japan offers sakura collection of tumblers, glasses, water bottles and mugs which are so popular that the items get sold out quite easily. The lineup has gotten international attention. Now, even neighboring countries like Taiwan and the Philippines have sakura-themed tumblers. For some reason, Starbucks has always released their sakura lineup such as drinks, baked items, tumblers, etc. before sakura season, they tend to go on sale from mid-February. 2018’s themes are Looking Back and Looking Forward. The Looking Back line was released on February 15th, while the Looking Forward line will be released on February 28th. Including tax, prices start at 1,404 yen for a glass, 1,836 yen for a tumbler, 1,620 yen for a mug, and 2,268 yen for a bottle. 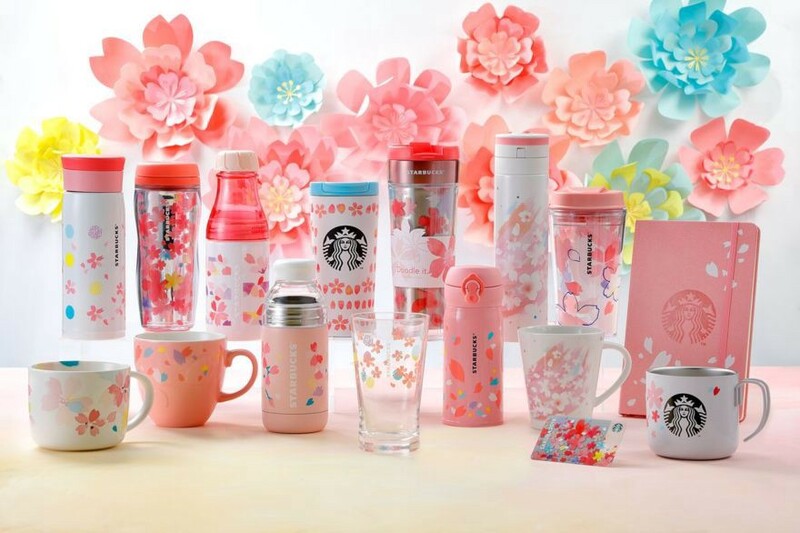 Along with its tumblers, Starbucks will have sakura-themed drinks as well. 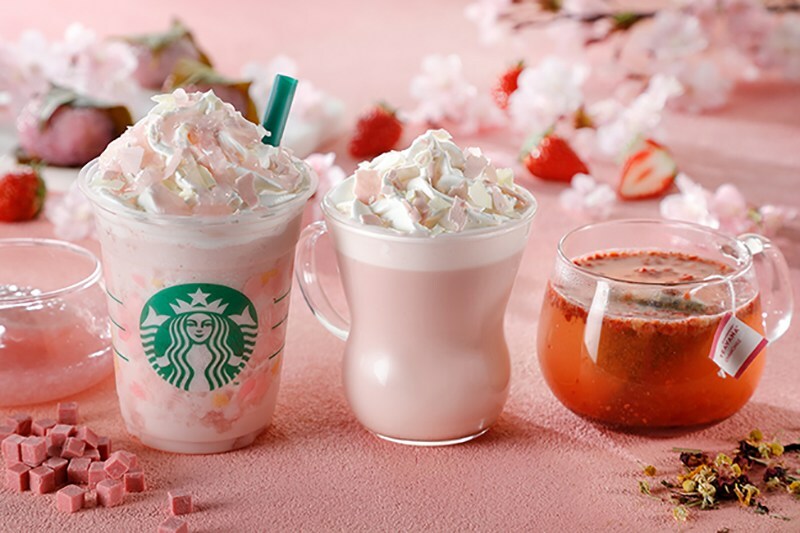 From February 15 to March 14, you can order a Sakura Strawberry Pink Mochi Frappuccino (630 yen) or a Sakura Strawberry Pink Milk Latte (464 to 594 yen), both of which feature sakura-strawberry sauce. You can also get its Sakura Latte, a part of its Starbucks Discoveries line, in convenience stores—2018’s flavor is Sakura Caramel Milk with mixed berries (237 yen), a mild-tasting drink with berry bits. Starbucks is not the only place to get your sakura drink fix. Many other coffee shops such as Cafe de Crie will have their own take on the Sakura Latte. In addition, from February 16 to April 1, at the upscale Lindt Chocolat Cafe, with branches in Ginza, Omotesando, Shibuya, Jiyugaoka, Kichijoji, Tachikawa, and Kita-Senju, you can enjoy its White Chocolate Sakura iced drink (772 yen take-away, and 1,388 yen in a glass). None of these drinks contain coffee, so if you want your caffeine fix, go for Doutor’s Premium Roast Coffee Sakura, which goes on sale from March 1st. Smelling of sakura trees and mixed with sakura powder, it is available as ground (100 grams for 680 yen) or drip coffee (5 bags for 480 yen). As for tea, Starbucks added a tea-based sakura drink this year, i.e. Sakura Strawberry Pink Tea (464 to 594 yen). Coca-Cola’s Kocha Kaden, the bottled milk tea brand you see in convenience stores, usually releases a Seasonal Cherry and/or Cherry Blossom-flavored Milk Tea for around 140 yen. 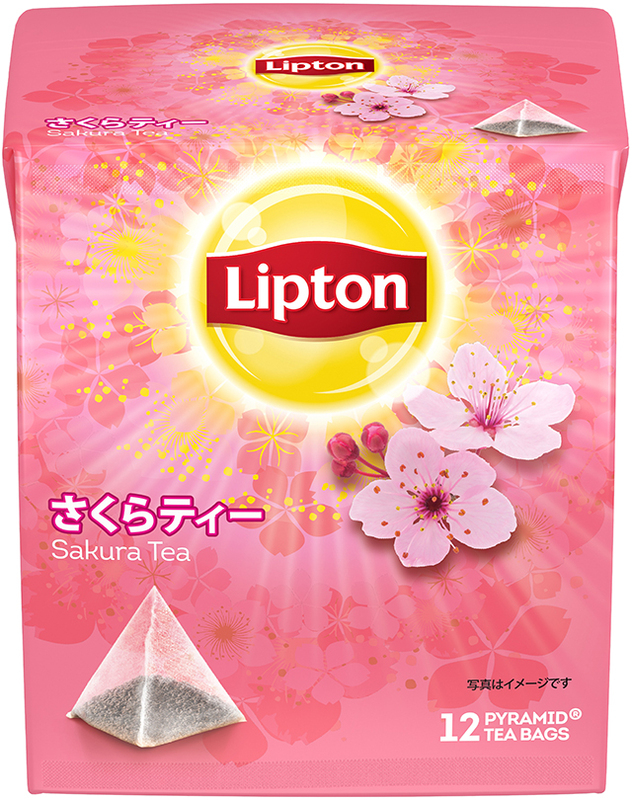 In 2017, Lipton joined the fray with a mild, refreshing Sakura Tea, which will make its return this year. From February 28th, it will be available on Rakuten and Yahoo! Japan for 324 yen (excluding shipping). With shipping, it comes out to slightly over 800 yen. 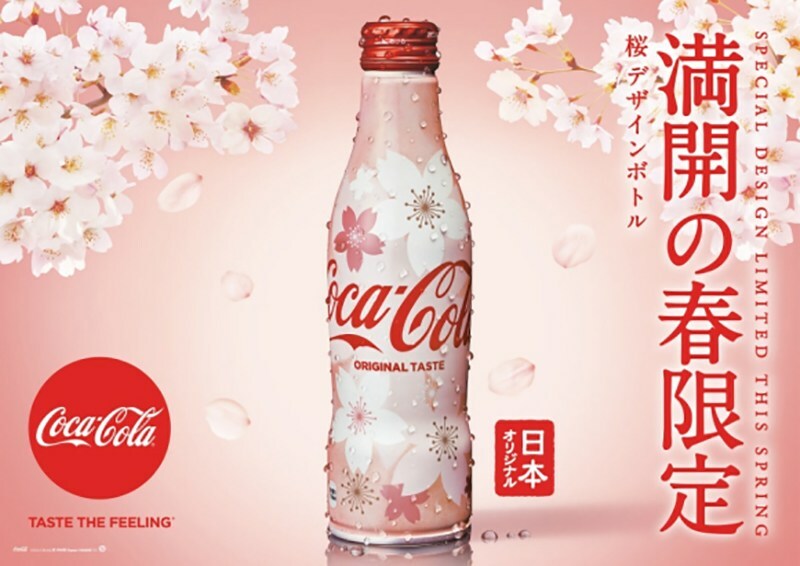 As for soda, Coca-Cola released a special, limited-edition bottle with a Sakura Design (125 yen) in January. No, it is not sakura-flavored, but you have got to admit, the design is lovely and perfect for spring. Meanwhile, Kimura Drink, the maker of the famous Japanese soda, Ramune, is bringing back their sakura cola and introducing another intriguing sakura-themed drink, i.e. Sakura Shrimp Cider. As for beer, Sankt Gallen Brewery created a Beer made with cherry blossoms, prices start at 2,040 yen for 3 bottles. McDonald’s usually adds sakura-related treats to its spring menu, but there has been no news thus far. It is highly likely that, as in previous years, they will have a Sakura or Cherry Float. As for cake, Starbucks offers Sakura Chiffon Cake (410 yen) to accompany its sakura-themed drinks. This year, it has a new addition to their sakura lineup, a Sakura Donut (270 yen) with a pink glaze and sakura powder. 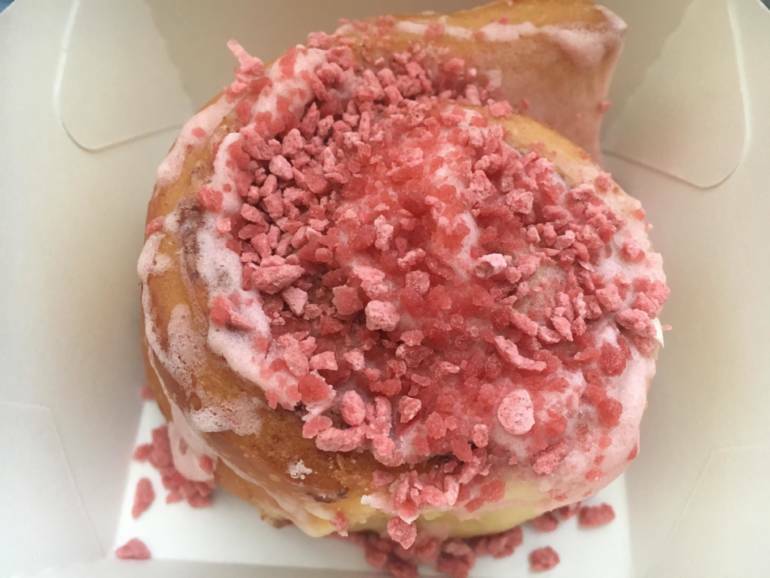 Cinnabon introduces its Sakura Minibon (390 yen) with sakura-flavored cream cheese frosting. As for macarons, Lindt‘s got that covered along with their drink, they serve Sakura Macarons for 302 yen a piece. 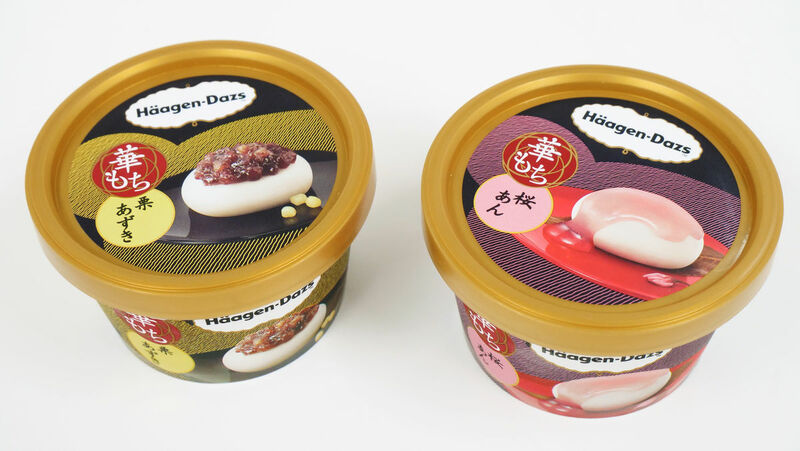 As for ice-cream, Haagen-Dazs offers Sakura Mochi Ice Cream (324 yen) is hitting convenience stores on February 27th, this sakura ice cream topped with mochi, sakura bean paste, and sakura sauce. In addition, Parks with sakura festivals, more often than not, will have a stall where you can buy some soft-serve Sakura ice cream. Some parks such as Ueno, Inokashira, Yoyogi, and Hamarikyu, among others are even taking that one step further, with the introduction of a Sakura Ice Cream Puff (183 yen). 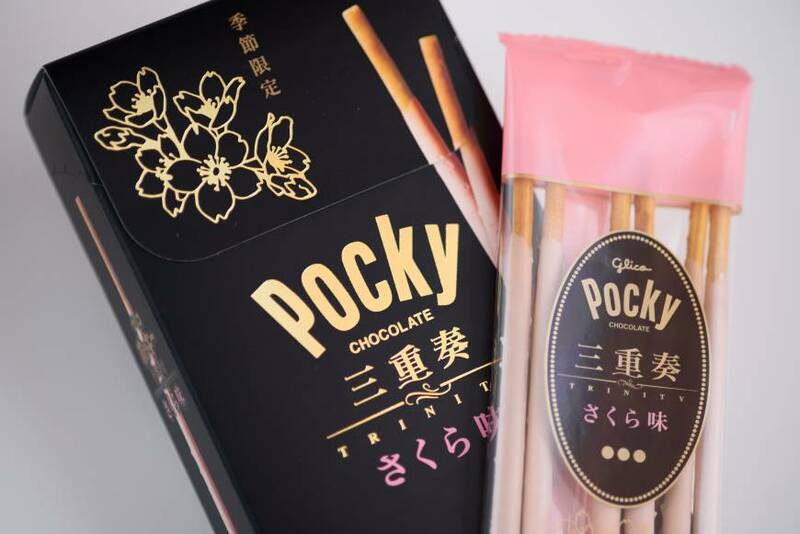 Popular snacks such as the biscuit stick Pocky and the soft cookie Country Ma’am also have limited-edition sakura-flavored variants this year. And while sakura-matcha KitKats can be found at Japanese airports all year round, the KitKat Chocolatory, which offers gourmet KitKats, currently offers a limited-edition Sakura Strawberry KitKat set. 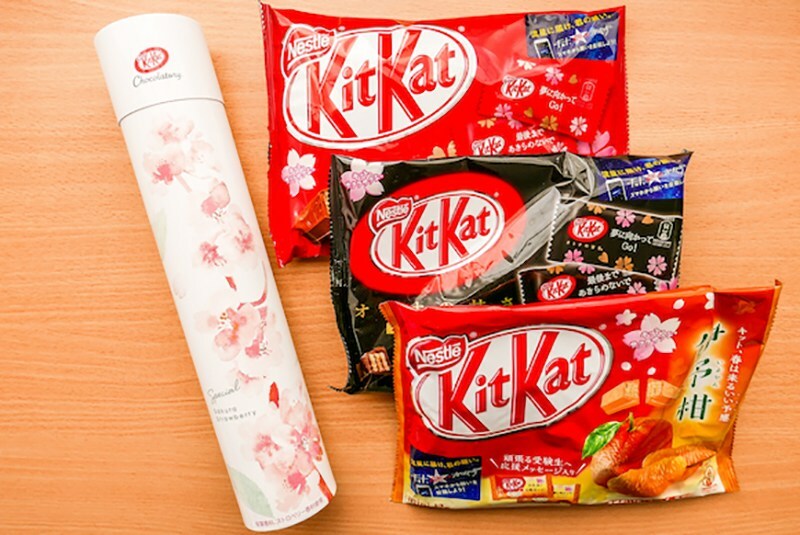 For 1,080 yen, you can get 5 KitKats in a tubular package as well as a sakura-shaped charm made of cherry blossom wood. As for convenience stores, FamilyMart introduces Sakura Roll Cake (190 yen), Lawson sells Sakura-Matcha Roll Cake (210 yen) and Sakura Jelly (150 yen). 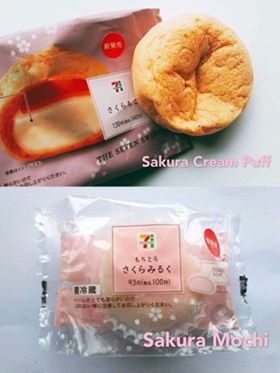 Whereas, 7-Eleven offers Sakura Cream Puff (140 yen), it is fully filled with sakura cream, taste crispy and savoury and also offers Sakura Milky Melted Mochi (100 yen), the outer layer cover with lots of powder , it is soft , when you bite on it, it melted in your mouth, no need to bite. It tastes less sweet, milky and sakura flavor. Speaking of Sakura Jellies, Akita-based confectionery Eitaro has been producing this sweet for over a decade now. You can find them in selected department stores in Tokyo, or you can save your time searching by ordering them online for 300 yen a piece, 900 yen for a box of 3, or 2,460 yen for a box of 9. Sun Fruits at Roppongi’s Tokyo Midtown also has a sakura jelly called the Sakura Bavarois (540 yen). However, if you want something slightly healthier, you should try Danone Japan‘s Cherry Mix Yogurt. In the past, it released sakura-flavored yogurt in spring, but this year’s release uses Sato Nishiki cherries, a well-loved type of cherry in Japan. 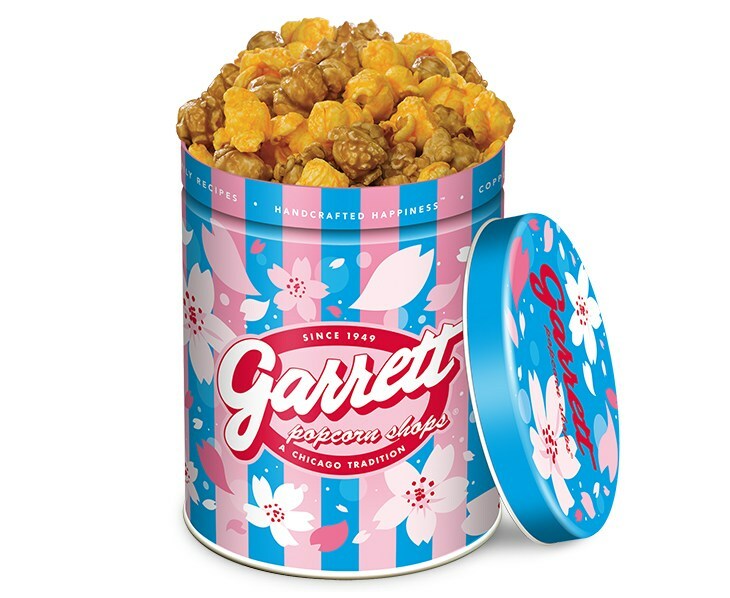 Garrett Popcorn shops are bringing back its Japan-exclusive Sakura Tin Can design from February 15 to April 9. It won’t come with sakura-flavored popcorn, but it would go well with its spring-themed popcorn. Lastly, for something more traditional, at an Onigiri shop, you might see sakura onigiri with dried, pickled cherry blossoms as filling.